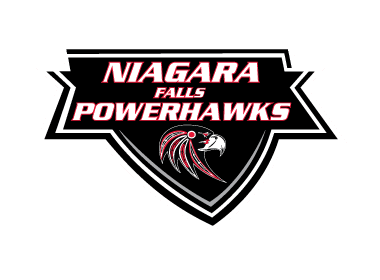 The Niagara Falls PowerHawks dropped an 11-2 decision to the Cape Cod Islanders on the road Saturday evening. The same two teams will face each other Sunday afternoon at 4pm at the Falmouth Ice Arena in Falmouth, Massachusetts. Matthew Schemelia opened the scoring, unassisted, for the PowerHawks 12:02 into the first period. Cole Therrien tied it for the Islanders with 9 seconds left in the period. Nick Ferrucci and Caleb Williams provided the assists. The Islanders took over the game in the second period with five goals. Williams started the rush with a goal 3:04 into the frame with the assist coming from Therrien. Michael Goroshko scored his own goal five minutes later. Noah Tambolleo earned the lone assist. Nick Ferrucci scored on the powerplay 16:35 into the period. Leevi Kervinen and Brendan Heayden provided the assists. Cape Cod continued their dominance in the period with Kervinen scoring his own goal two minutes later to make it 5-1. Tanner Little and Therrien assisted. Therrien scored his second of the night with 13 seconds left in the period. Williams was credited with the assist. Jimmy Dravage continued the scoring prowess for Cape Cod in the third period with a goal 5:59 into the frame. Therrien picked up another assist on the play. Therrien then completed the hat trick just past the halfway point of the period. Kerviven and Williams assisted on that powerplay marker. Niagara Falls put their second on the board with a goal from Colin Thomas with 6:11 left in the period. Dominic Cappella and Schemelia assisted on the goal. Derek D’Arcy responded for the Islanders, with Kervinen assisting on the goal with four minutes left in regulation. Goroshko scored his second of the contest with 100 seconds left on the clock. Therrien and Dravage picked up the assists. Goroshko then capped his hat trick with the final goal of the game. Coming with only 57 seconds left, Little and Dravage provided the assists. Parker Orchard turned away 21 of the 23 shots he faced in the win for the Islanders. Josh Sebastiano stopped 47 of 58 for the PowerHawks. The same teams will face each other Sunday afternoon in Falmouth at 4pm. Niagara Falls will next be home at the Hyde Park Ice Pavilion on October 19th against the Skylands Kings.